TWO Wits Law students, Khanyisile Madonko, 22, and Ritondeni Matamela, 23, have found a savvy way to make money by opening a café and restaurant, Scribbles and Nibbles. The café is located on West Campus at David Webster Res, far from the centre of the university and the Matrix – the largest food court space on campus where most students find themselves grabbing something to eat and socialise. 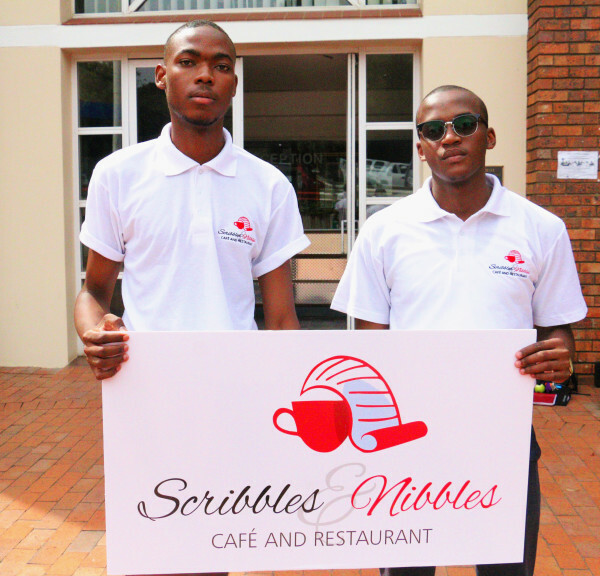 Scribbles and Nibbles is aiming to cater for students around Wits. Madonko and Matamela wanted to target students on the Wits campus, and provide a convenient location that was not Braamfontein. With the distance being an issue from the Matrix, the Scribbles and Nibbles team has thought of a different way to get to students on campus: delivery. “Delivery will be to Wits and Braamfontein and how we will be getting it to you is with bicycles,” said Matamela. Matamela and Madonko declined to talk about the specifics of how their business got off the ground but they said they owed it to their “networks”. They said that while it was a challenge to manage university work and the business it was “doable”. Madonko said that finding time to think of a sustainable business plan that looks at student empowerment is their main mission. “Every university has tuck shops but does not have structures that empower students … This business is for black empowerment,” said Madonko. Matamela said they chose the name “Scribbles and Nibbles” because it had a catchy ring to it. “It was a name I fell in love with, you would want to say it all the time,” he said.